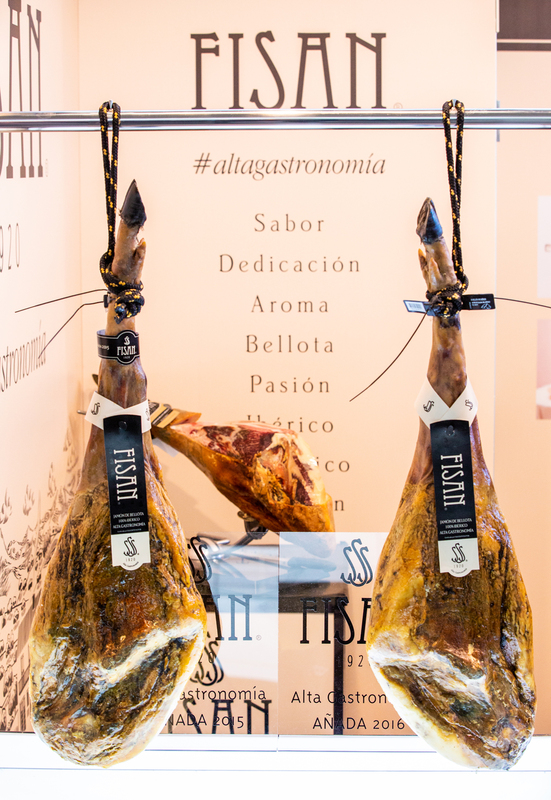 This is the seventh consecutive year we present our Limited Edition Iberian hams. On this occasion, we have only selected 55 hams among all the pieces we have attentively cared for in our cellars. 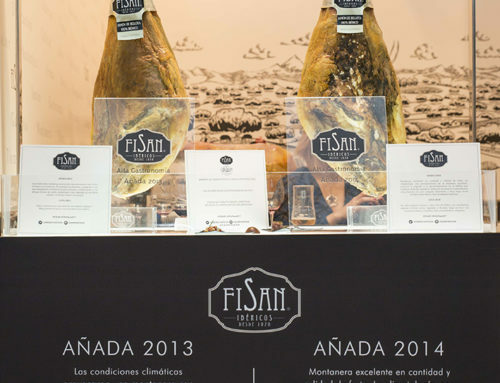 Not only do these 55 hams of Vintage Year 2014 comply with the highest expectations in tastings, but they also represent the patience we practice at FISAN in order to achieve our main goal:reaching excellence in each acorn-fed piece. 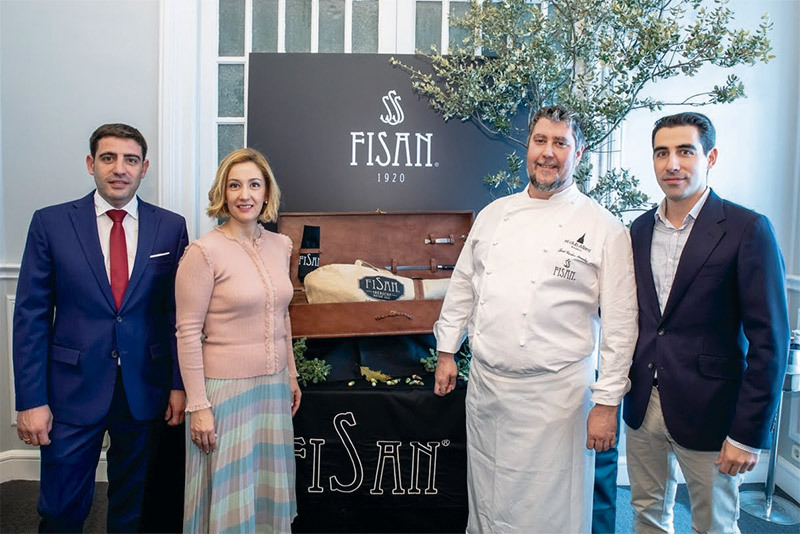 exclusive menu inspired by FISAN products for this important occasion. It has been an absolute pleasure and a total success to count with his support. 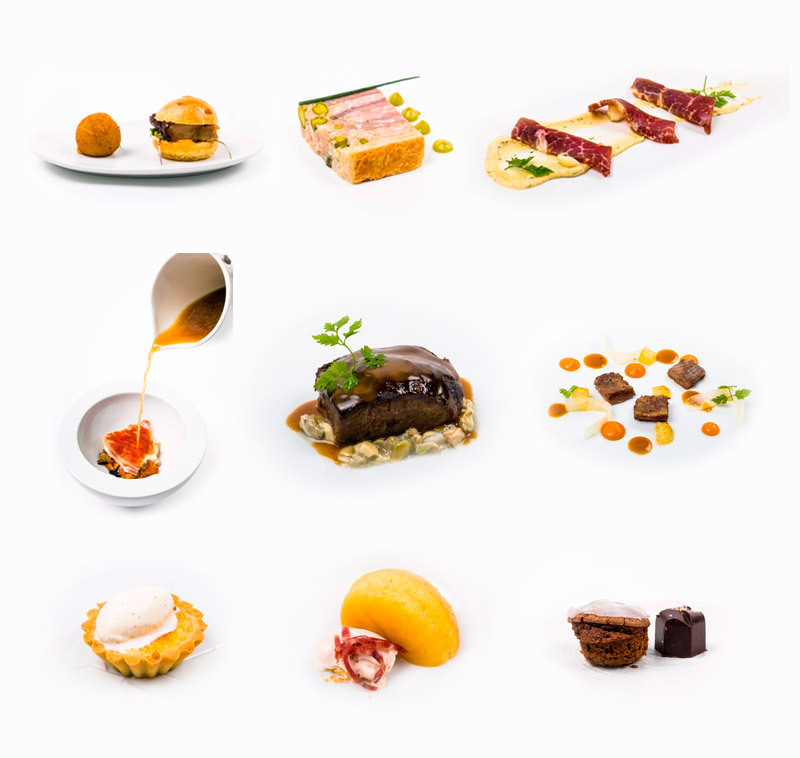 Year 2014 took place at El Club Allard, with its Chef José Carlos Fuentes at the head of his kitchen. Limited Edition Ham, Vintage Year 2014.
noise, a lot of care and much patience. As a result, Vintage Year 2014 has turned out to be of excellent quality. The amount and calibre of the acorns, combined with the perfect climate and rain at the right time encouraged the nuts’ growth. This resulted in our pigs grazing the best feed in the meadows and reaching high-quality ham standards. 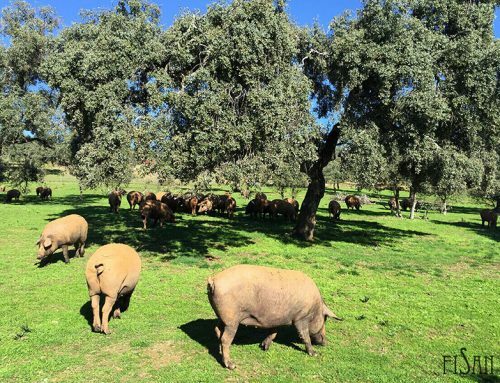 The 2014 season lasted from October to March, which was a landmark in a ‘montanera’ period, which is when the animals graze in the pastures. - Lustrous and intense pink-red purple, with dried fruit, vegetal and floral hues. - Long-lasting with sweet and toasted tones that are well blended and very rich in flavour. We recommend consuming the ham before 5 or 6 days after sliced with a special knife and at a temperature of 22ºC. 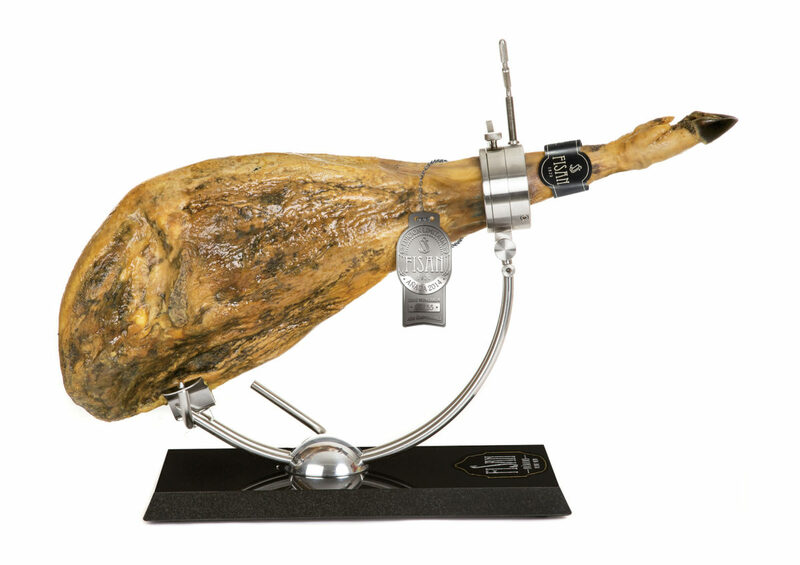 ham belongs to the Limited Edition, Vintage Year 2014. The Fine Gastonomy Limited Edition ham from the Vintage Year 2014, together with its case and accessories, is available on our website for the price of 1,100 Euros (includes VAT). 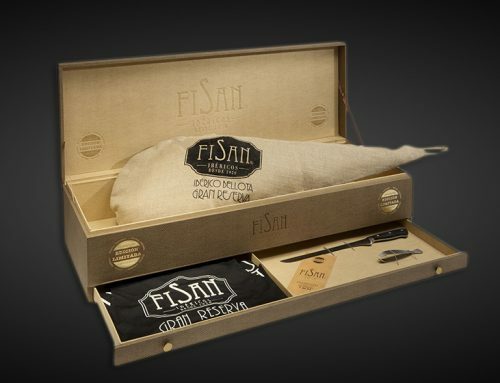 You can purchase it in our online shop at: https://www.fisan.com/tienda-online and receive it comfortably at home. 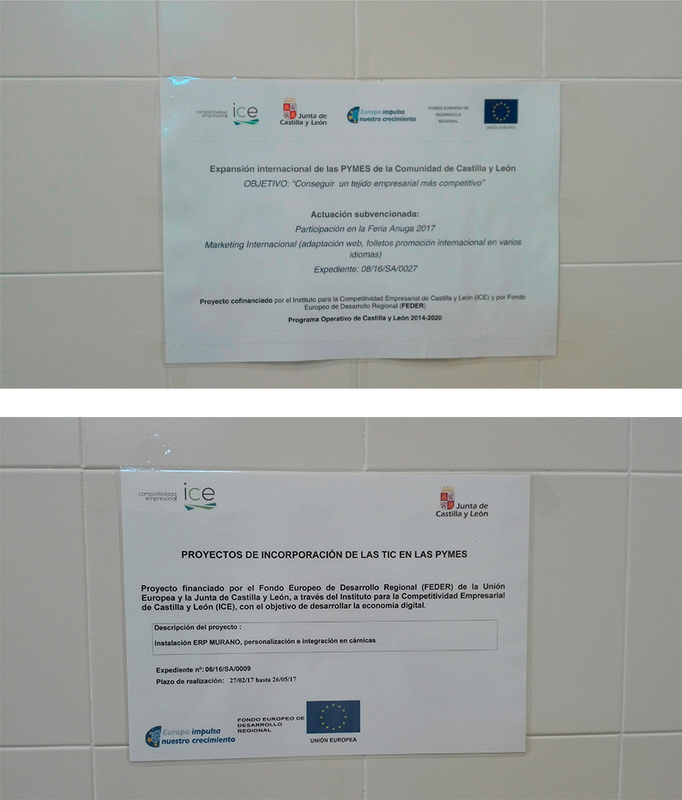 Campaign Sausage Meats, Year 2013, Montanera (free-range period) 2017... Make sure you know all about it! 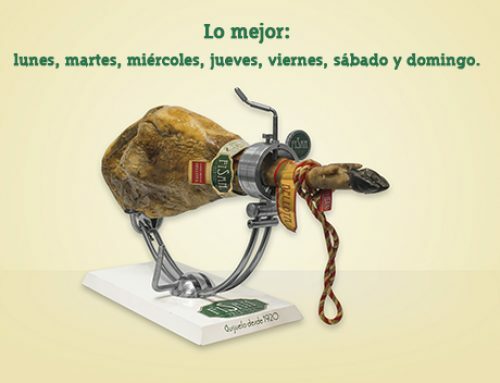 Acorn-Fed Ibérico Ham, Better Day After Day!